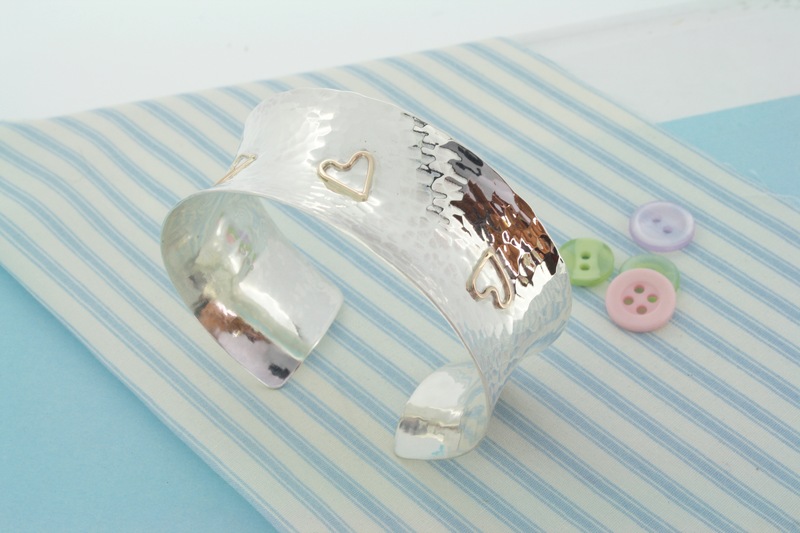 This lovely feminine sterling silver bangle has been finished with 5 rose gold hearts. 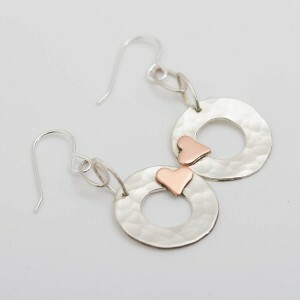 It has a curved shape and is very comfortable to wear. 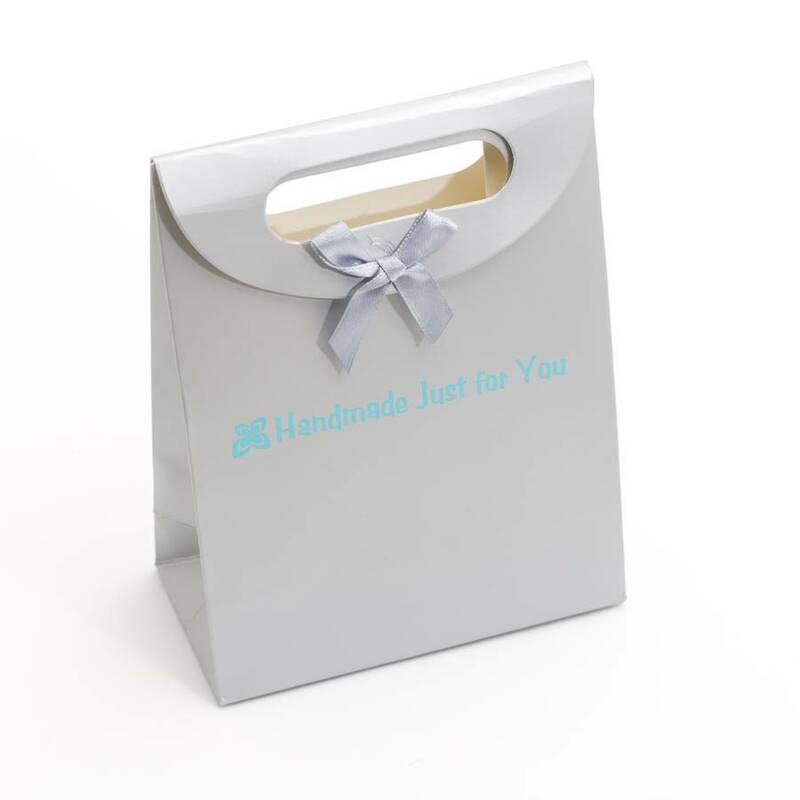 It would be perfect as a gift for a wife, girlfriend, granddaughter or daughter to mark a special occasion such as Christmas, Birthday or graduation. It would also be great to celebrate a new baby or as a wedding gift. The bangle also makes a lovely gift for your Valentine. It comes in a printed box and can be gift wrapped. 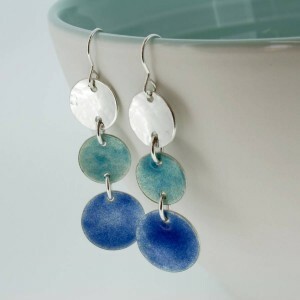 This piece is entirely made by hand in my Cornish studio. Hallmarked sterling silver and 9ct gold. Please keep clean with a silver cloth. The bangle is approximately 3cm wide and is available in 3 sizes – small (15.5-16cm), medium (16-16.5cm) and large (16.5-17cm).